Practicing with a metronome seems like a boring and useless thing to do, but the opposite is true. 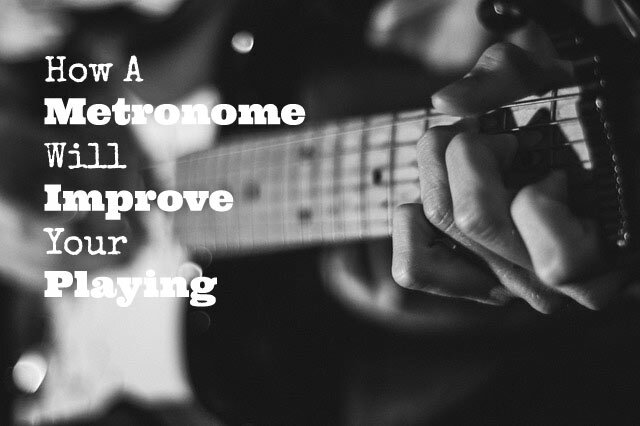 Practicing with a metronome will develop your ability to keep time and become a tight and solid guitar player. This is one thing that your really want to be good at if you’re aiming to becoming a good musician. It will also develop your dexterity, improve your accuracy and increase your speed. Enough reasons to check out the metronome. You can look for a metronome online, an app on your phone, or get yourself a real quality metronome that keeps you focused on your practice without getting distracted. You can also choose a good digital metronome which is really accurate and easy to set up. The metronome practice below consists of two parts: Rhythm (chords and songs) and Lead (scales and licks). Practice everyday for 20 to 30 minutes and your playing will really shape up. – Set your metronome somewhere between a 70 and 100 BPM (Beats Per Minute). – If you can adjust the time signature on your metronome set it to 4/4 time. – Listen carefully to the click of the metronome for a minute or so. – Now strum down on each click. – Count |1 – 2 – 3 – 4 | 1 – 2 – 3 – 4 | 1 – 2 – 3 – 4 |… on the clicks. – Make sure you keep perfect time by hitting the strings exactly on the click. – It might seem a little boring, but getting it right (in time) is crucial. – Listen carefully to the click of the metronome for a short while. – Now strum down on the click and strum up in-between the clicks. – Again make sure you lock in with the beat by hitting the down strokes exactly on the click. – Now strum down on the click and strum down again in-between the clicks. – It’s the same as the previous exercise but now you’re just playing solid down strokes on and off the beat. – We’re going to change chords every two bars. – Change to a D chord, then to the C chord and back to a G chord. – Remember play every chord for two bars. – Once you got this down you can play the same chord progression with down-and-up strokes and then with eight note down-strokes. – Keep listening closely to the click and make sure you’re perfectly on the beat every step of the way. – Once you feel comfortable with these exercises, try different tempos, fast and slow. – Put on your favourite song in your playlist. – Listen closely to the beat of the song. – Tap along with your foot or clap along with your hands. – Turn on your metronome and match the click with the beat of the song. – Slow down or speed up the click until both the song and the click are in sync. – Most songs are in 4/4 beat. The kick and the snare of the drums determine the beat. – In a 4/4/ beat, the kick is usually found on beats 1 and 3, and the snare on 2 and 4. – Make sure the click of the metronome and the beat of the song are in sync. – When you got the tempo right write down the BPM. Now turn off the song. – Set the metronome to the number of BPM you feel comfortable playing along with. – Now play the song (rhythm and chords) along with the metronome. – Practice the song in your own tempo and lock into the beat (the click). – Gradually increase the tempo until you can play the tempo of the original track. – Note: This is not about speed, it’s all about keeping time! – Use a pick and play the scale with alternate picking. Down – up – down – up – down – up – down – up. – Make sure each note is right on the click and sounds clean and clear. – Keep practicing the scale ascending and descending until you feel really comfortable with the tempo. – Gradually increase the tempo once you can play the scale comfortably and perfectly clear ascending and descending with each note right on the click. – Can you play the previous exercise without falter, move on to this exercise. – You’re now going to play the G major scale in eight notes. – That means you play two notes per click. – Set the metronome around 80 BPM. – Play one note on the click and one note in between the clicks. – When playing alternate picking the down-pick is on the click and the up-pick is in-between the clicks. – Again gradually increase the tempo once you can play the scale perfectly clear and in time. – You can also practice the previous exercises with different scales and licks. – Once you got the major scale down move on to the awesome pentatonic / blues scale, the natural minor scale and other scales. 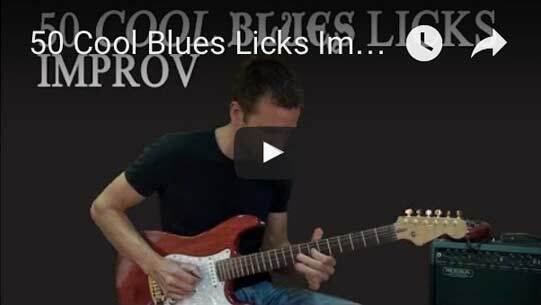 – You can also practice cool licks like 2 notes-per-string licks, 3 notes-per-string licks, alternate speed picking licks and country licks. I’ve been enjoying your lessons. When learning a solo or a section of a song do you think it’s better to practice with a metronome or to a loop of the song on guitar pro? “Tic tic tic tic”. The sound of the scariest nightmare. But it’s also the sound of a guitarist’s progress. Better love it else you may lose the race!!! A metronome was one of the biggest factors in increasing my speed as a player. I would practice a dexterity exercise and slowly increase the tempo. I was able to double my speed within a few months. Great tips!